In Kindergarten we have a science unit about sun and shadows, and one of the learning goals is about how the length of shadows changes during the day. The sundial is a great focal point for this, as classes can visit it in the morning, at lunch, and again in the afternoon and observe the difference in the direction and length of the shadow. Depending on the grade, they could even measure the length of the shadow and compare it to the height of the sun in the sky at that time. It’s a clear way of understanding that the higher the sun is, the shorter the shadow, as well as the idea that the sun moves across the sky and the direction of the shadow changes. After observations, we’ve even done drawing assessments where students predict what the shadow would look like given a position of the sun. You could use an actual picture of your sundial for this, and students could then check their predictions the next day to see how accurately they predicted the length and direction of the shadow. Here’s the link to a hands-on science unit you can buy from Delta Science Education that gave me some of these ideas. In 5th grade our students study the seasons, which is a good opportunity for students to learn about why you need to stand in different places on the sundial depending on the time of the year. 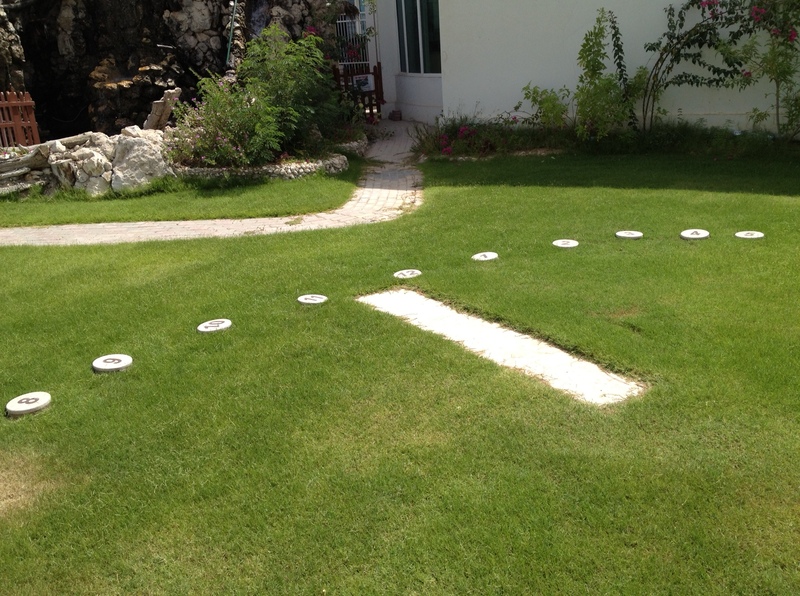 It could even be a good opportunity for a long-term study: each day or once a week in the morning, have students observe the sundial at a particular time, noting the position of the sun (measurements could be made with a compass). Students will begin to see how the position of the sun fluctuates with the seasons, which leads to the idea that some seasons have more direct sunlight (and therefore more heat) than others. Another approach which I wish I could try would be to have no date stones on the sundial at all in the beginning of the year and explain to the 5th graders that you aren’t sure how the sundial works. Then you could give the students the job of “calibrating” the sundial, visiting it at the same time each day and marking where they need to stand to make the shadow point to the accurate time. 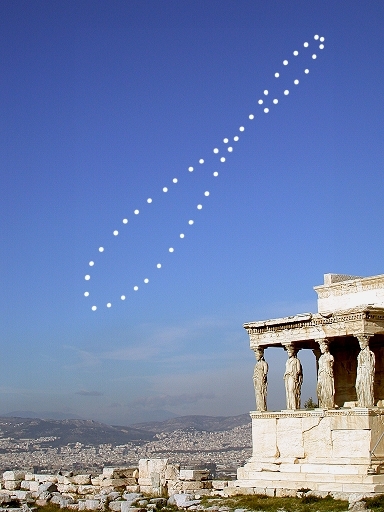 After a few months they would begin to notice the analemma (the shape that represents the changing position of the sun, pictured below) and it’s this shape that allows you to know where to stand exactly to make the sundial work. Here’s a kid’s science site I found about someone who actually tried this with really neat results!